As seen posted on the internet. This is ONLY a portion of the complete story. A few months later, you go to trial. The charges haven’t been reduced, as your lawyer had so confidently predicted. When you take the stand, your anger at the injustice of it all works against you. 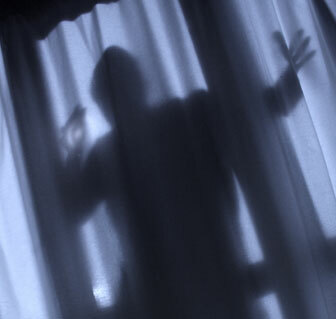 Prosecutors paint a picture of you as a mean, vengeful man. 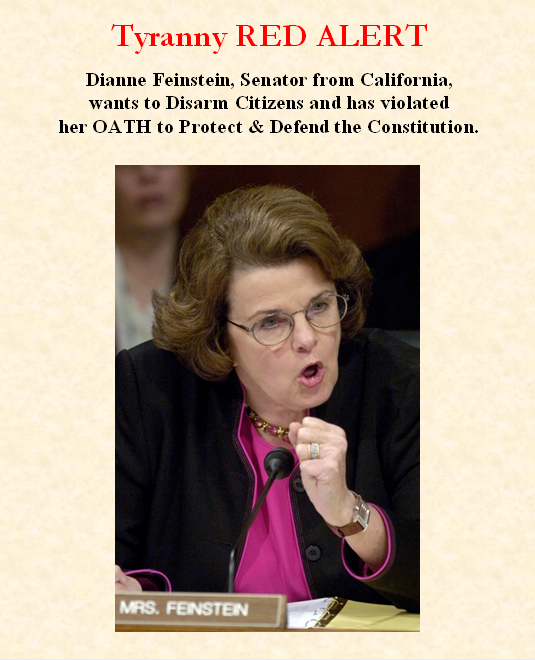 It doesn’t take long for the jury to convict you of all charges. The judge sentences you to life in prison. Do you think this is FACT???? FICTION???? Respectfully submitted by SilenceDogood2010 this Twenty Fourth Day of January in the Year of our Lord, Two Thousand Thirteen. 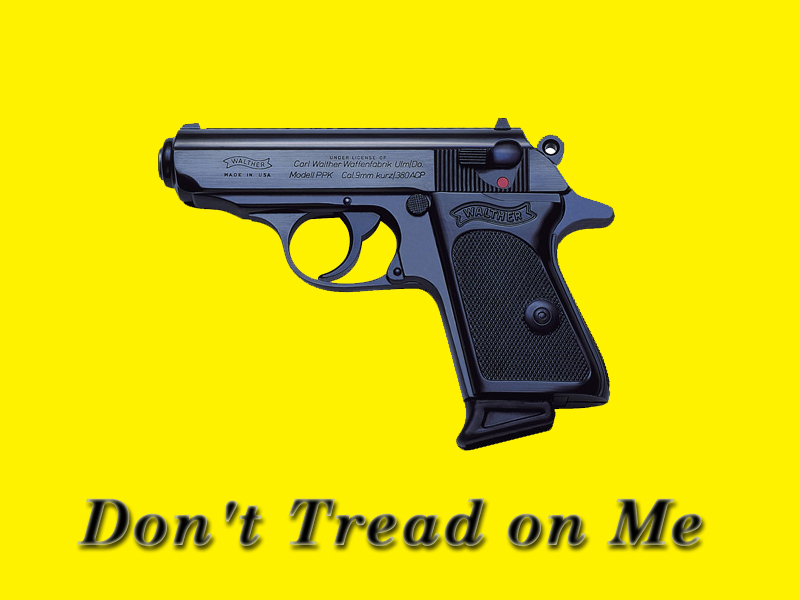 If you like this Gadsden flag, click on it to enlarge it… then you can save it for future use. 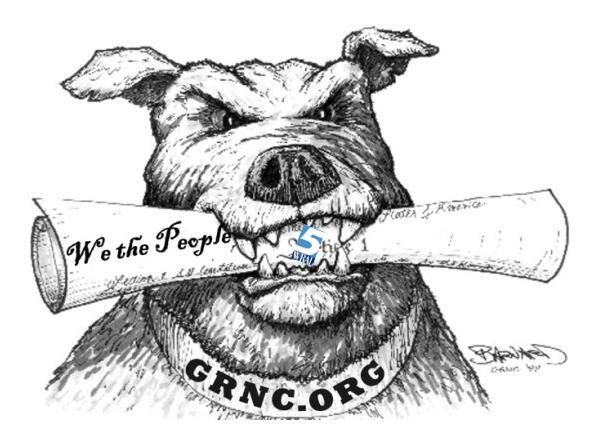 Join me and other North Carolinians at this Grass Roots North Carolina (GRNC) sponsored rally, and let your representatives know that there is to be no compromise on gun rights. This gathering is schedule for noon on a weekday specifically so the legislators will see us there. We want our elected servants to see us and hear us as we insist that they stand for freedom in North Carolina . There is some time between now and February 5th, so please make arrangements to be at this rally if at all possible. It is very important. 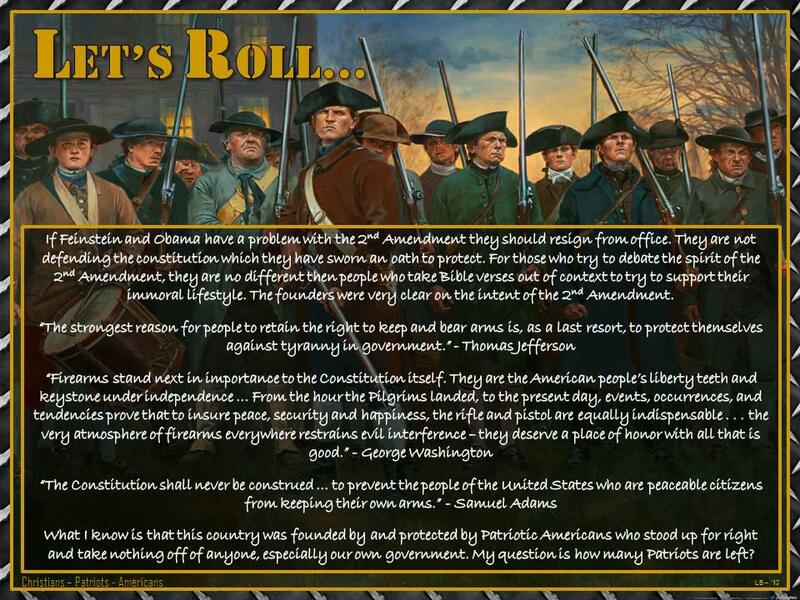 Your Constitutional rights depend on it! If you forget to, no problem, please be there anyway. Respectfully submitted by SilenceDogood2010 this Twenty Third Day of January in the Year or our Lord, Two Thousand Thirteen. Lone Star Comm. College Shooter a Multiple Voter? UPDATE: Jan 24th 2013 —– It appears that my conclusion was incorrect. Folks at the Election Law Center found that one of the registrations DATE OF BIRTH is 1963 and the other one is 1990. Probably a father and son. Thanks to Election Law Center for the data correction. 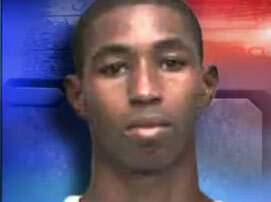 Carlton Berry – The shooter that has been charged. 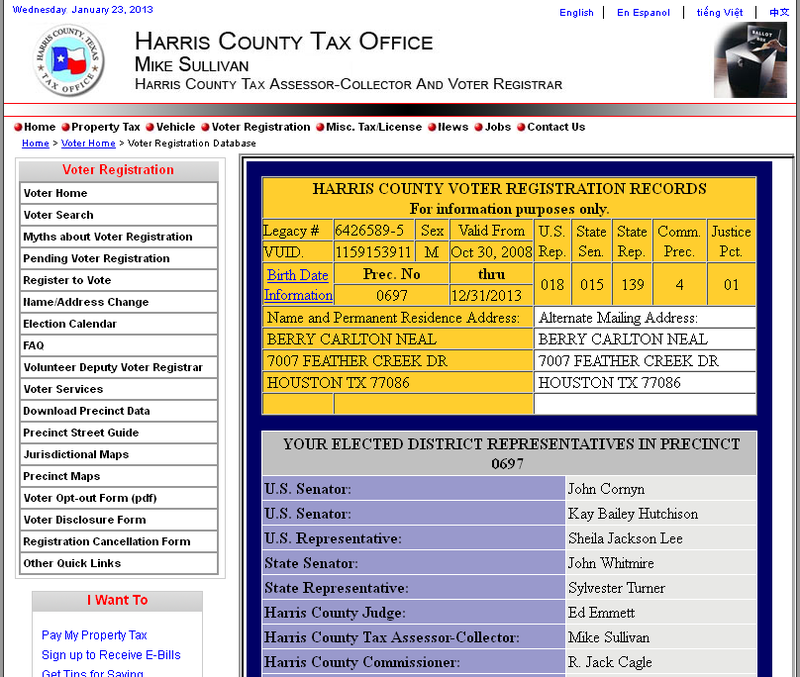 Voter Registration Number 2 —- Click to enlarge the image. 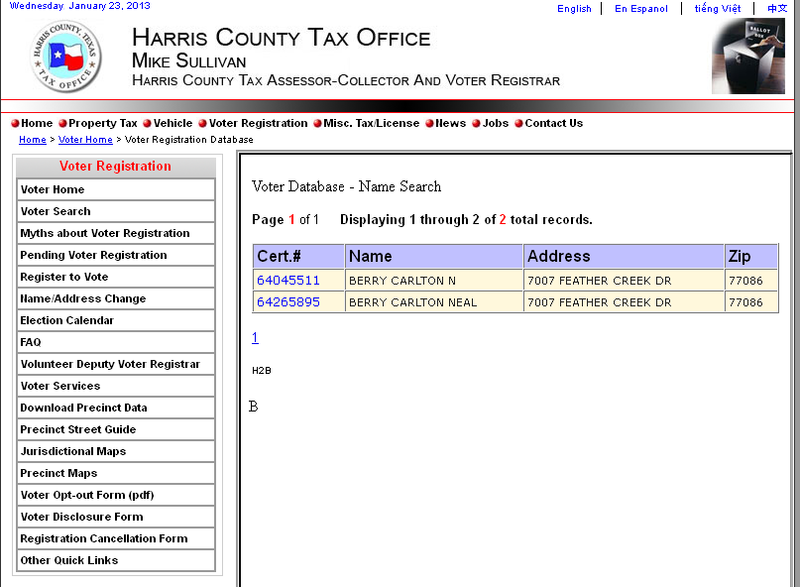 Screengrab of the 2 registrations. Click to enlarge. There appears to be 2 completely different and separate voter registration forms. 2 different Legacy Numbers and “VUID” Numbers but both at the same address and slightly MODIFIED full name. One name uses the the middle name of “NEAL” and the other registration uses only a Middle Initial of “N”. To be noted, this is Sheila Jackson Lee’s Congressional District. So it appears that this individual is criminal in many aspects of his life. Carries a firearm into a GUN FREE ZONE (Lone Star Community College Campus) AND registers to vote on multiple occasions. I can only assume that he also cast 2 votes both in 2008 and 2012. Respectfully submitted by SilenceDogood2010 this Twenty Third Day of January in the Year of our Lord, Two Thousand Thirteen. 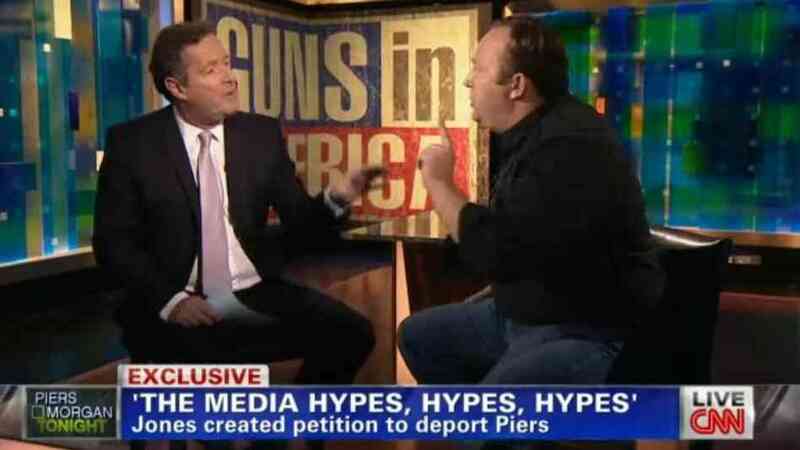 I’m sure most of you have seen the exchange between Piers Morgan and Alex Jones (InfoWars fame) over gun control. 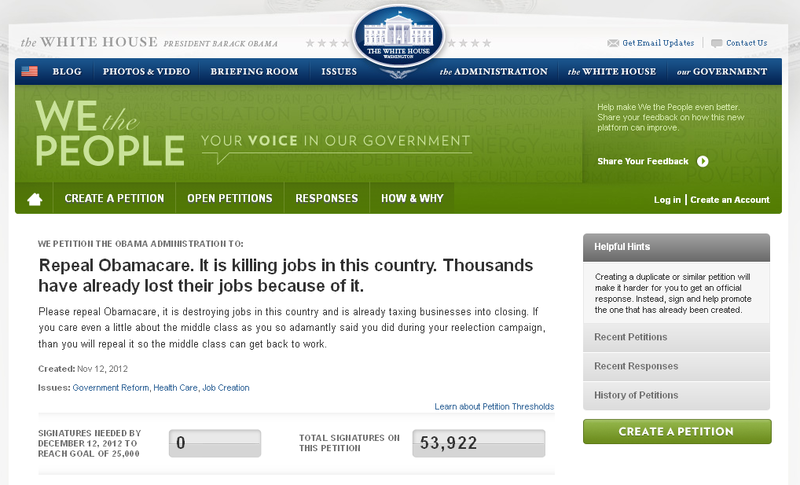 And many of you folks have seen the WhiteHouse Petitions on various issues…. Deport Piers, Allow Texas to Succeed, etc. 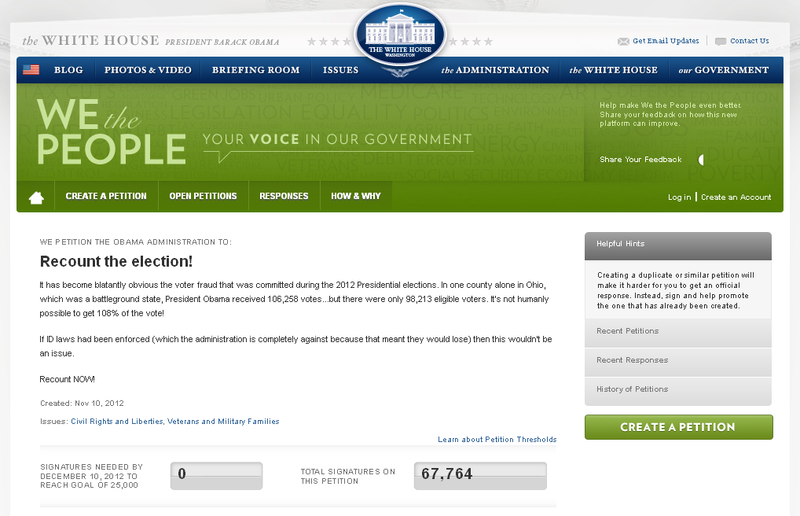 Here’s a link to the MOST POPULAR Petitions….aka the ones that have the most signers. And for your convenience, I’ve taken a few screengrabs of a few that are in the top 20! 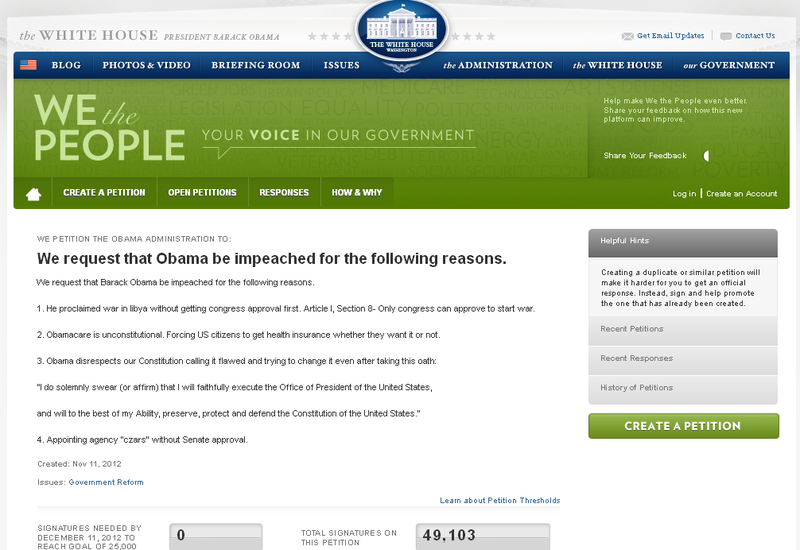 Notice that all of these already have enough signatures to get an OFFICIAL RESPONSE from the White House? Respectfully submitted by SilenceDogood2010 this Ninth Day of January in the Year of our Lord, Two Thousand Thirteen.